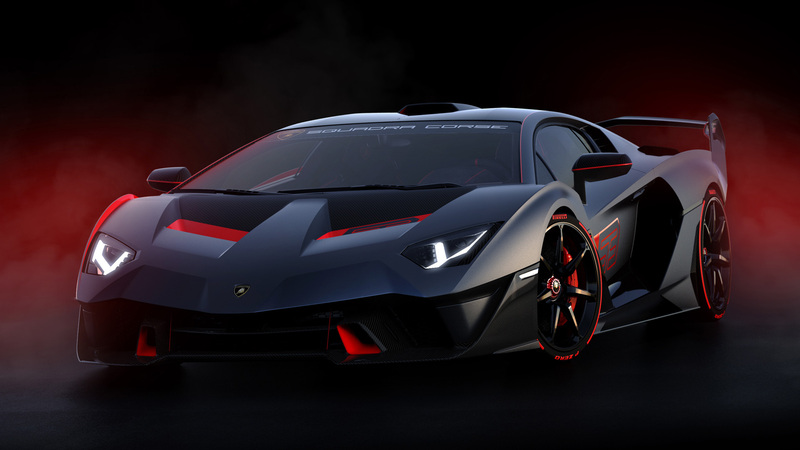 Lamborghini makes some of the most incredulous looking special edition road cars. The Italian bull also has a racing division called Squadra Corse. 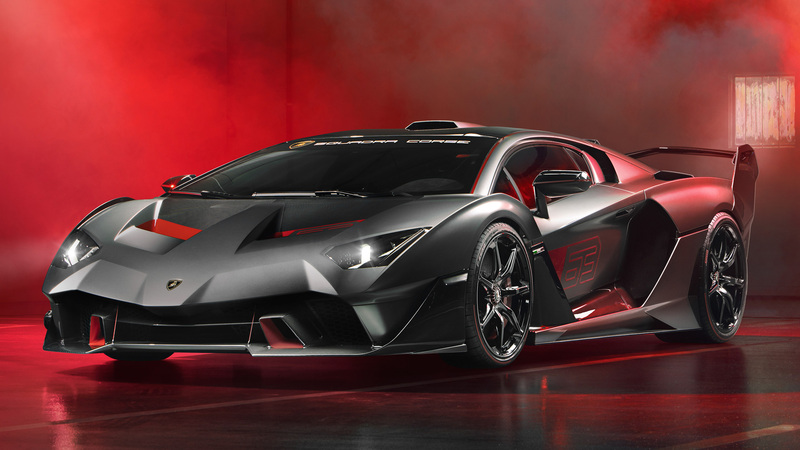 A special customer has got Lamborghini to build a road-legal special with bits from the motorsport department as well for this one-of-a-kind Aventador – the SC18. We all know the current Nürburgring-production-car-lap-record-holder, the Aventador SVJ, and this is a step further in extreme aerodynamics. These elements have been developed specifically for this model and derived from Squadra Corse’s experience in competition. 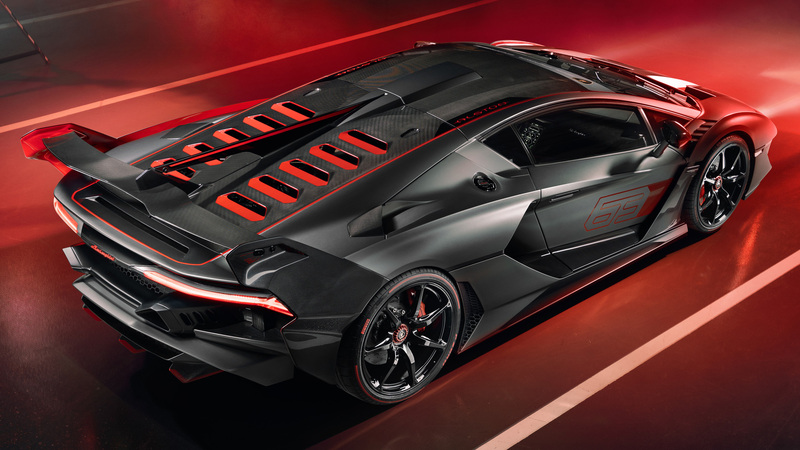 The racing elements start from the hood, with air intakes in the style of the Huracán GT3 Evo. Then we have the sides and rear fenders, fins and airscoops inspired by the Huracán Super Trofeo EVO, the twelve air intakes formed on the rear hood increasing heat exchange and improving the cooling of the V12 engine. Then there is the massive carbon-fibre wing with three mechanical adjustments to complete the menacing look. 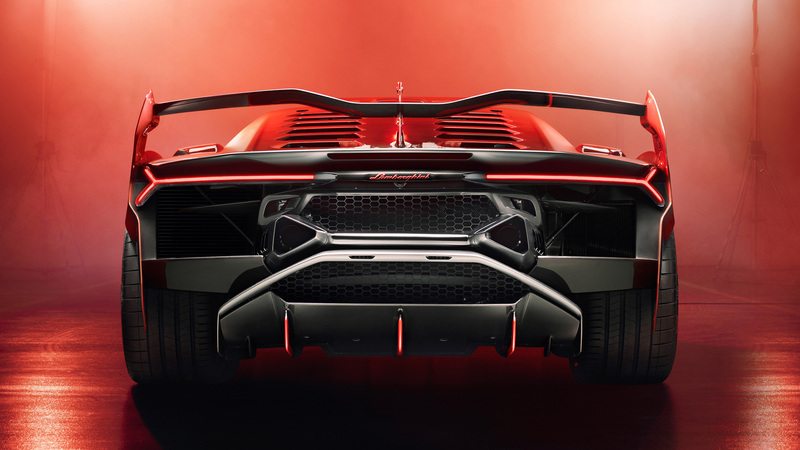 Oh, and then there are the unique-looking high-mounted exhausts that Lamborghini say will offer a unique sound as well. Speaking of the naturally-aspirated 6.5-litre V12, it has been tuned to an output of 760bhp and 720Nm of torque, all handled by the ISR optimised 7-speed gearbox. It’s lighter too thanks to all the ultralight materials and carbon-fibre body that is just 109mm off the found on the single nut wheels, 20-inch on the front and 21-inch at the rear. These racing wheels wear racing tyres, i.e, specially developed Pirelli P Zero Corsas. The SC18 gets a touch of the Sesto Elemento with its Grigio Daytona body colour, exposed mechanicals and red screen-printing. 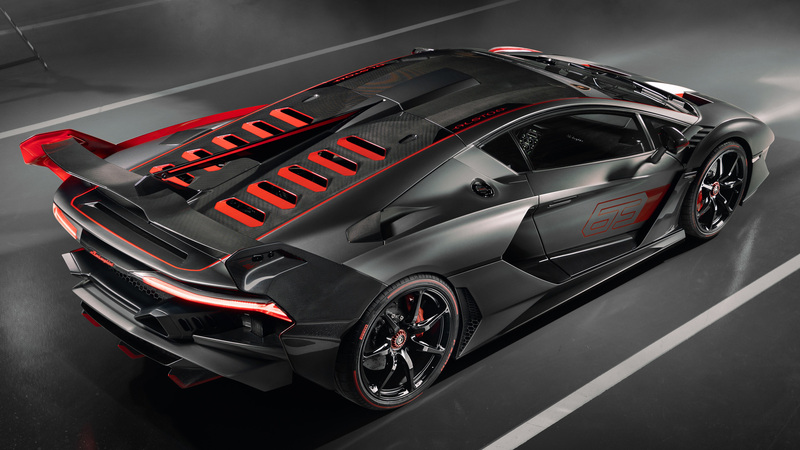 The cockpit of this extreme Lamborghini is fitted with carbon-fibre bucket seats and interiors in Nero Ade Alcantara and Rosso Alala cross-stitching. It really is the most extreme road-legal Lamborghini to date in my opinion. Yes, I’m including the Veneno and Centenario (but not the Terzo Millenio) in my statement because what the SC18 does is bring together some of their ridiculous designs with real-world track-performance. So, this bull’s horns could actually get you. 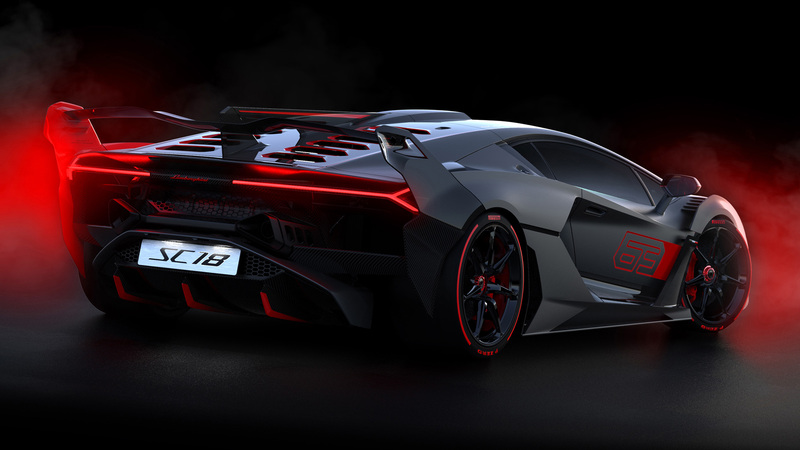 What do you think of the Lamborghini SC18? 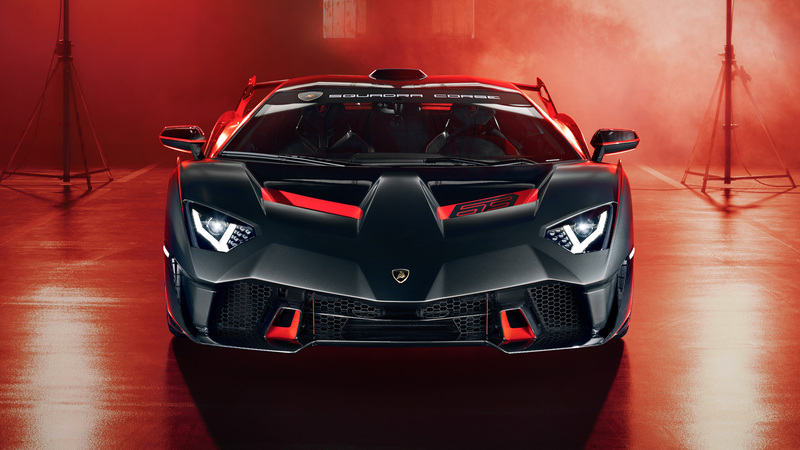 Do you think this is what the Aventador SVJ should have been all along? Share your thoughts in the comments below the gallery. Leave a like if you enjoyed this post and don’t forget to subscribe to The Auto Loons for the all the updates on our latest content.